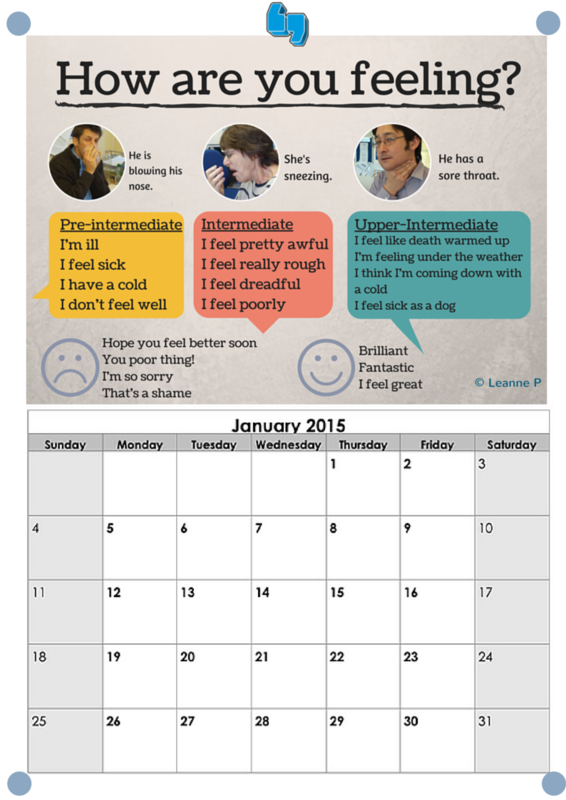 Starting this month - download and print our monthly calendar - pin it up, learn all the phrases and by the end of the year you will have an even bigger vocabulary range! For January our theme is... Feeling Sick! Every one seems to get sick in January, so here are the phrases you might need. Click the picture to get the full size to print.